This lively first novel spans five years in Manjit's life, from the ages of 13 to 17. His path, predetermined by his traditional Leicester Punjabi family, is that he will be married at 17 to a girl he has never met before, just as his older brothers were. Manjit's father, a drunk who is given to beating his son with an old hockey stick when he steps out of line, appears to see Manjit as little more than an extension of himself - a boy whose duty it is not to disgrace the honour of the family by marrying out or associating with white or black people. As Manjit's best friend is black and his girlfriend white, trouble lies ahead. Will he succumb to family pressure or find his own way? Energetically and pacily written, this novel makes up for its lack of characterisation and convincing plotting by sweeping the reader along as the drama unfolds. Tricked into going on a 'holiday' to India, Manjit find himself passportless and a virtual prisoner in his father's home village in the Punjab. Intended to bring him to his senses, this betrayal intensifies his resolve to take revenge on his family. 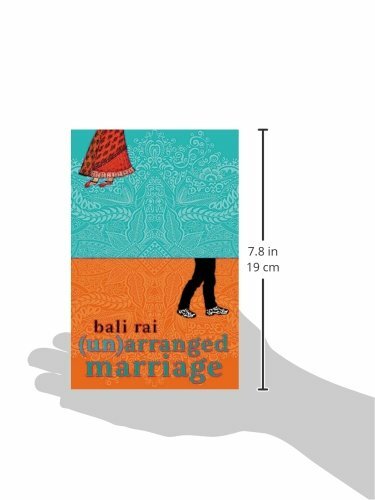 There is a vitality and freshness about Rai's writing that engages the reader - he is good on locations and has an ear for dialogue and the world that emerges from his hurried prose convinces, almost despite itself. An intriguing debut that promises well for the future.